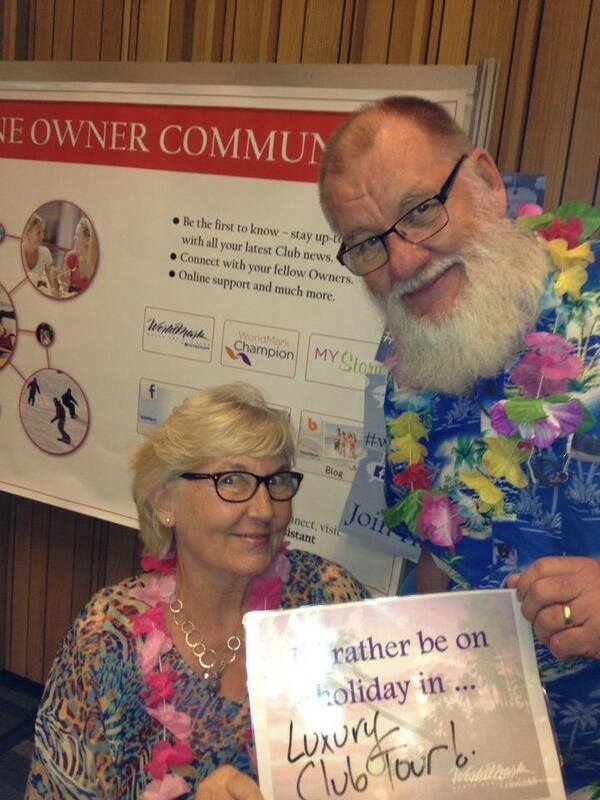 We had our first WorldMark Travel & Service Expo for the year in Brisbane on Saturday. It was fun and, for me, educational. It was great to speak to so many Owners in person, and it helped me gain a better understanding of what I can do to make WorldMarkSP Online an even more helpful place for our WorldMark Owner Community. I thought I’d share a couple of the things I learned. 1. Facebook isn’t for everyone – but some Owners are interested. In speaking with Owners one on one about Facebook I know that while some people have no care to use Facebook, other Owners would like to use it so they can connect with their family and friends, as well as the WorldMarkSP community. What has stopped them joining Facebook so far has been a high level of concern about the privacy of their information. And it’s a valid concern. If you’re new to Facebook but really wanting to get involved I would recommend you create an account with the help of trusted family member or friend. They can help guide you through setting it up. It’s also a good idea to limit the amount of personal information you put on Facebook. Facebook has prepared a comprehensive list of FAQ’s about privacy that are well worth reading, as it helps you control who sees what. 2. 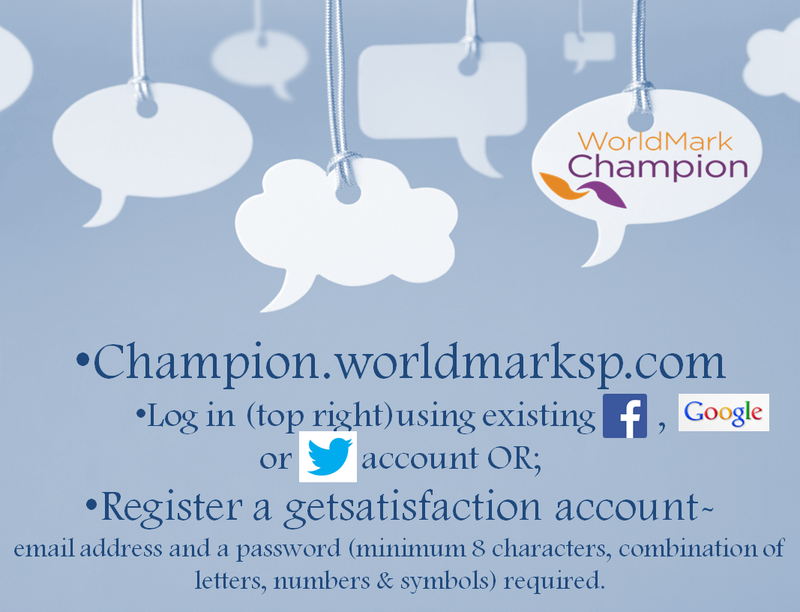 The WM Champion Forum is the perfect way to gather intelligence about your Resorts. Your fellow WorldMarkSP Owners are the experts on your WorldMarkSP Resorts. As an employee, I can tell you what’s in your apartment, what facilities there are at the Resort and how far the nearest restaurant is. But I can’t add much ‘colour’, unless I’ve actually visited that Resort. As Owners you’re in the perfect position to help other Owners with their plans, and to gain help from other Owners with your plans! A quick guide to getting involved in the WM Champion Forum! 3. 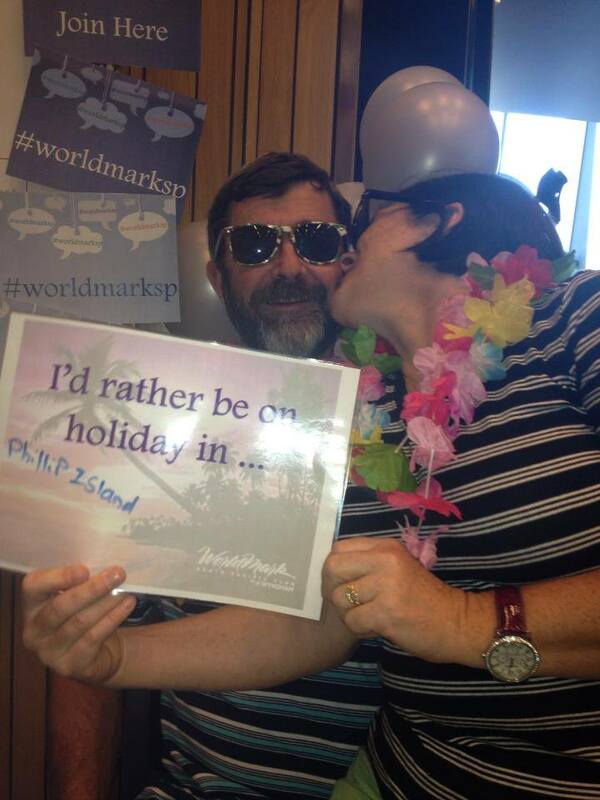 WorldMarkSP Owners are a fun bunch – and would rather be on holiday! 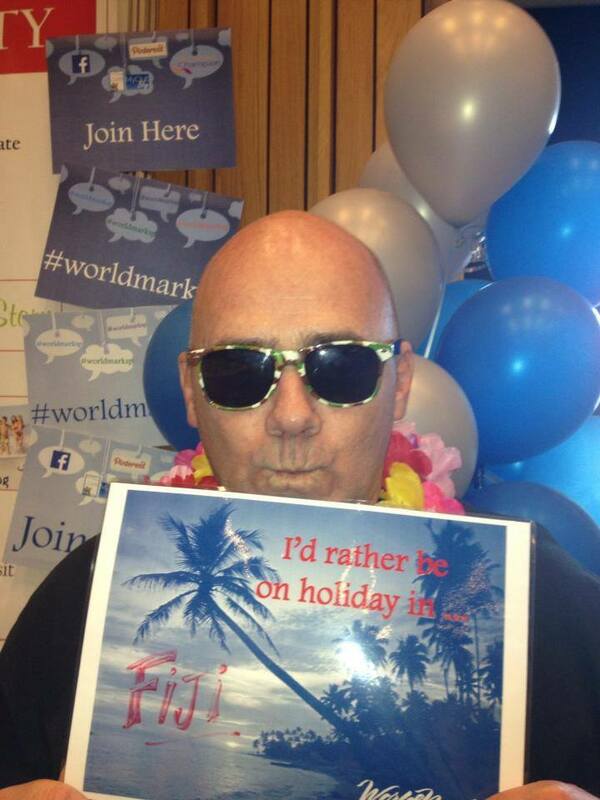 Paul would rather be on holiday in Fiji. Linda & Ernie would rather be on holiday in Phillip Island. Margit and Heikke would rather be on the Luxury Club Tour! 4. WorldMarkSP Owners like an App! 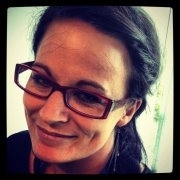 Our stand was never busier than after my last talk of the day and I helped lots of interested Owners download the app. Wish there were more of me to help you. If you’d like to download it yourself I’ve added the links below. Happy Holiday Planning! Download for iphone. Download for Android.